This preschool in Singapore is one of 10 shortlisted designs. Image credit: LAUD Architects Pte Ltd.
From a six-storey vertical school in the heart of Melbourne, to a converted dumpsite in rural Morocco ­– the 10 shortlisted school designs up for this year’s World Architecture Festival (WAF) award have a whole host of unique features that make them stand out above the rest. 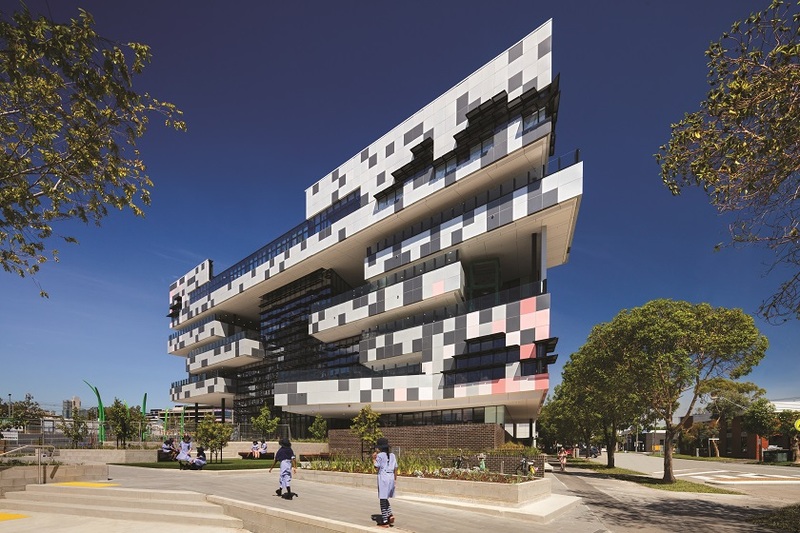 Australia has three projects in the ‘School – Completed Buildings’ category, while Iran, Singapore, Morocco, Indonesia, Japan, China and the UK all have one. The winner will be announced in November at the World Architecture Festival in Amsterdam. Here’s a snapshot of the shortlisted projects. 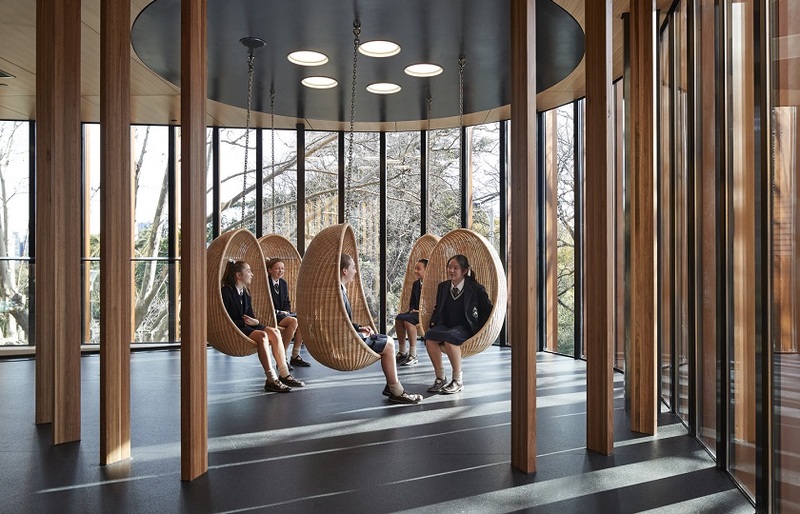 The Artemis project at Melbourne Girls Grammar School is specifically intended to promote holistic physical, mental, social and spiritual wellness across the entire student and staff population. Completed by architects at BVN, the basic brief was to deliver a 25 metre heated internal pool, full size netball, basketball and other court sports team zone, a high-energy gym space, a fitness centre, multi-functional education rooms, a cafe, change rooms and administration facilities. The architects were also asked to create ‘Me Zones’ for wellness, in varying sizes. These include both formal enclosed spaces, and informal ‘quasi-open spaces’. These spaces are said to be part of the pedagogical model of empowering the girls. This school was designed for the non-governmental organisation noor e mobin, a charity that provides students with a world class education free of charge. The whole site is located in a 20 hectare area, in an outlying district of Bastam in Semnan Province in Iran. The school building houses three grades of primary students, as well as multipurpose areas and laboratories. The green spaces and playgrounds are also used by the community and locals in the neighbourhood. Architects feastudio completed the project with a budget of US $750 000. 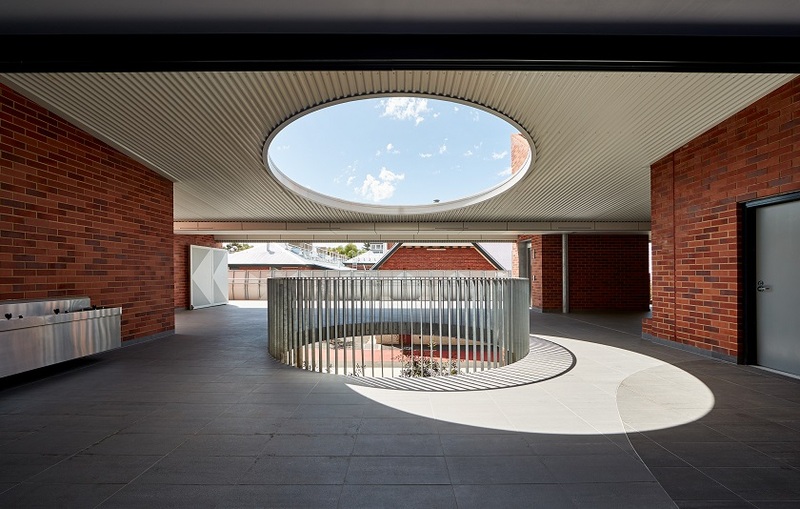 Opened at the beginning of the 2018 school year, South Melbourne Primary School (SMPS) is the first vertical development among Victoria’s state schools. It is located within the Fisherman’s Bend Urban Renewal Area and a short walk from the Melbourne CBD. SMPS has an enrolment of 525 primary school students (aged 5 to 12) with early learning, child health services, multi-use community spaces, multi-purpose sports courts and public domain/open spaces also on site that help to support a healthy and engaged local community. Hayball, the architect behind the project, has created a sustainable, energy efficient six storey building. Features of the building include a facade of pixelated panels, a thermal water storage system, and a heating and cooling system that achieves 40 per cent efficiency over minimum compliance standards. Highgate Primary School’s new teaching spaces immerse the students in a creative environment of light, pattern and colour. Architects iredale pedersen hook are said to have created a building that reflects the diverse and multicultural student population. They have used colour as an educational tool relating to the six Whadjuk seasons. Each of the six seasons represents and explains the seasonal changes the school experiences. The building also has a circular entry pattern and purple line on the walls and floors that mark the beginning and end of the school year. 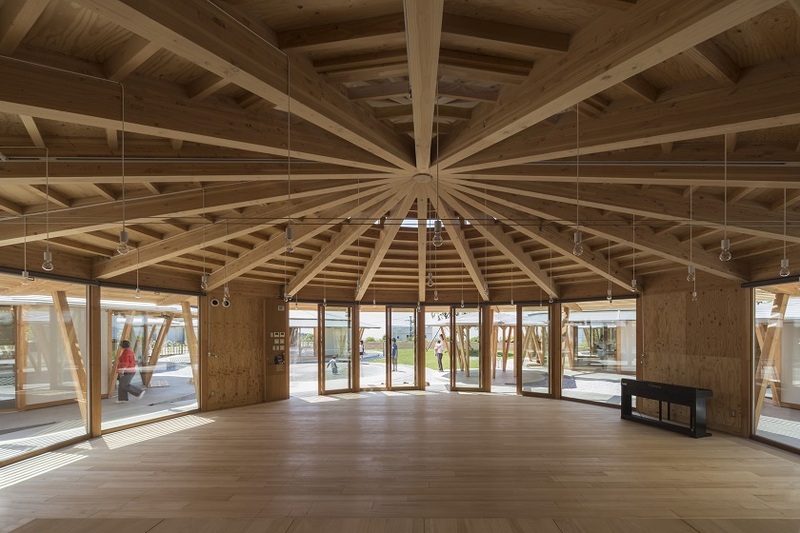 In trying to capture an awareness of the environment, the architects have used trees and plants, mapped and captured direct sunlight and the direction of north, used natural materials, and created a halo of light that filters between the school levels. Sparkletots Preschool is home to 1000 children, making it one of the first ‘mega’ child care centres to be introduced in Singapore as part of the government’s efforts to increase and enhance education opportunities for all. 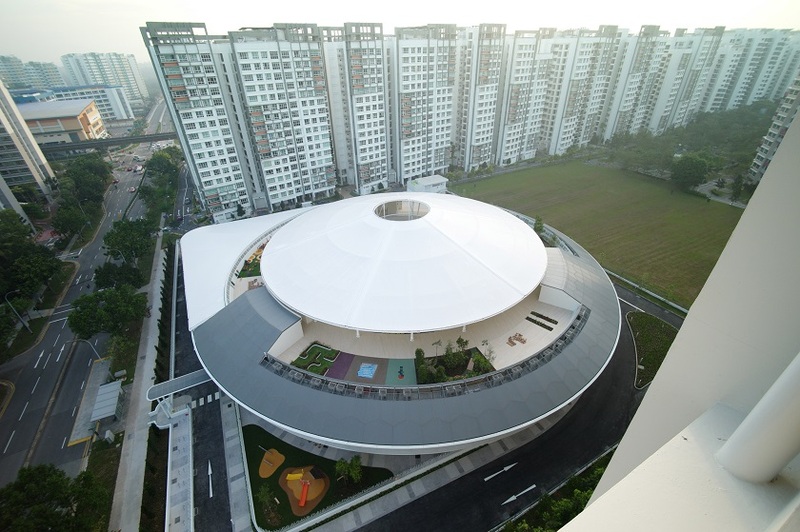 The circular building has an overhanging roof canopy that aims to convey the idea of shelter and protection. The heart of the building is the central activity area, consisting of the art, music, dance and culinary rooms adjacent to the multi-purpose play areas. The visual focus of the building is the elevated three-point bridge with its lush forest setting and music garden. The forest is an exploratory play area where the children are encouraged to encounter and learn about nature in a protected environment. 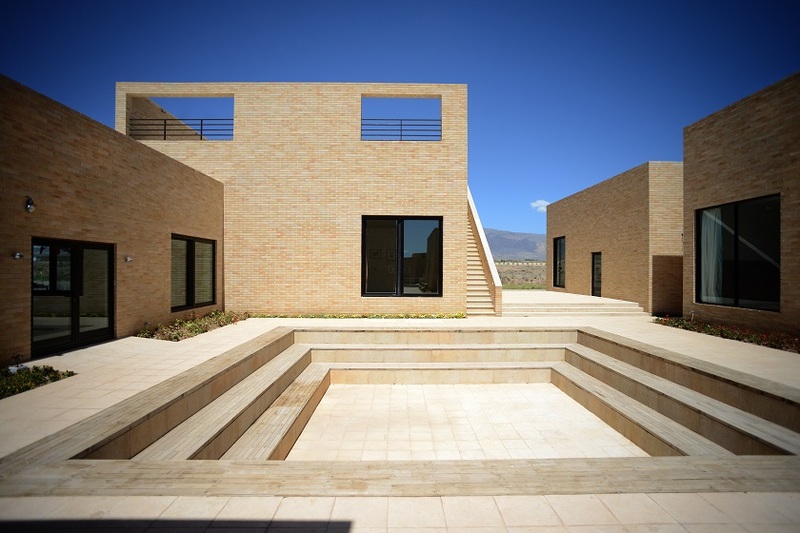 The site of this horticultural school is located on a large municipal dump on the eastern fringes of Rabat in Morocco. Prior to this development, the pungent smell of the dump regularly descended on the area as a plume, and children often played in the contaminated area which threatened the local watercourse. In 2007 the Municipality of Rabat put in place a clean-up plan consisting of civil works to stabilise the dumpsite. Mangera Yvars Architects were engaged to create a horticultural school on the site, along with a plant nursery and testing fields. Using recycled landscape materials like soil and clay, the architects built the school in the form of an earth pavilion using mud bricks. The building accommodates three small classrooms, a library, administration and cafe area with the shop at lower level. 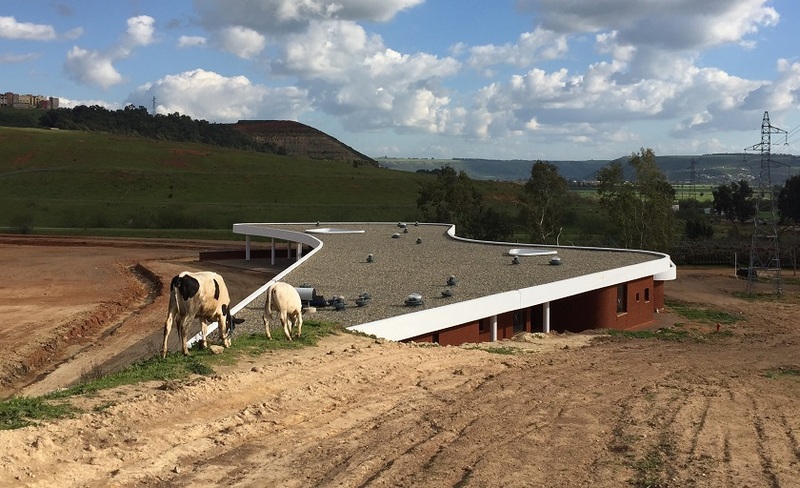 The small rooms are covered by heavy concrete roofs capable of supporting plants and grazing livestock. 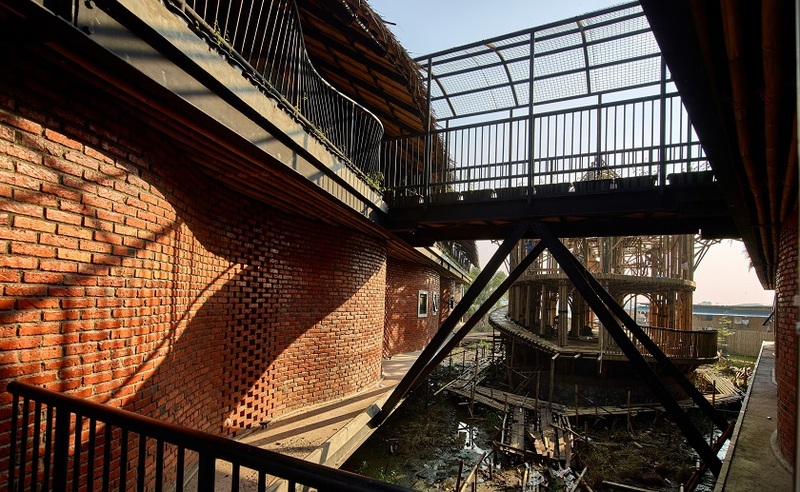 Indonesia’s Alfa Omega school is an educational building that sits on a former swamp and paddy field. The design responded to this unstable soil condition by raising the structure 2.1 metres above the ground. The area was specifically chosen to give local children a sense of closeness to nature and to encourage outdoor learning experiences. An aim of the project was to create a collaborative bond between the community and the building itself. This was achieved by hiring local craftsmen, rather than big developers. This project was completed in four months by local stone masonry, steel welders and bamboo craftsmen. All the materials and resources used in this project were found within five kilometres of the site, which not only accelerated development, but also reduced the carbon footprint at the same time. The concept for Three Rivers Academy in the United Kingdom proposes a unified series of spaces under a single roof. According to the architects at Scott Brownrigg, conceptually these spaces form an almost creature-like arrangement, with a head (Sixth Form and library), body (specialist teaching rooms and mall) and tail (sports and drama). The lateral pastoral Houses spring from the body like four separate limbs. 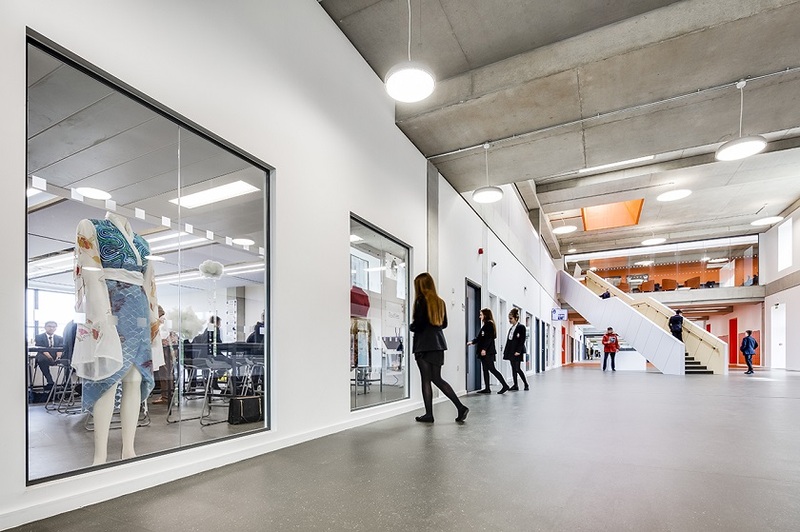 The designers have used the school’s distinct House colours through graphics, furniture walls and flooring, allowing users to locate themselves throughout the building with ease. The design of this nursery school in Japan attempts to look like bubbles slowly rising up in the air, keeping an optimum distance between each other. The circular rooms offer a high level of visibility. Architects at Tezuka Architects say that visibility is one of the most important requirements of a Kindergarten and Nursery School. The gap formed between bubbles (classrooms) provides glimpses from one side to the other. The round shape of the rooms is also designed to encourage endless movement of the children. The circles are linked with each other and create infinite combinations. 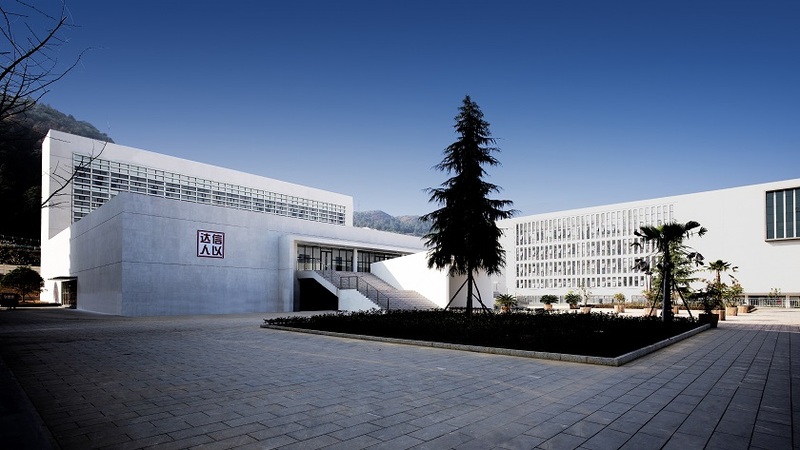 This school complex, located in Dushan Town in China, is located near a mountainous area, surrounded by both residential and arterial roads. The architects on this project purposefully situated the building in such a way to create four functional courtyards with different levels of privacy. Each of the courtyards are used for different purposes – from practising group sports to areas for relaxation or quiet study. The courtyards are connected by boardwalks. A dining area is on the lower floor, while dormitories are on the upper floors. The dormitories are said to provide a quiet and elegant living environment for students. Stay tuned: Tomorrow we take a closer look at the projects nominated in the Education – Future Project category. To find out more about the World Architecture Festival – click the link.